The clinical relevance of biofilms has become more apparent, however despite this increased prominence they remain difficult to treat. Biofilm formation relies on bacterial communication mechanisms known as quorum sensing (QS). QS presents a novel target for antimicrobials. It is postulated that QS inhibition would not so readily lead to the development of resistance, a common barrier in the treatment of infectious disease. This study set out to establish whether propolis could have an impact on biofilm formation. Gram positive and negative bacterial species of clinical relevance were tested, namely Staphylococcus aureus, Escherichia coli and Pseudomonas aeruginosa. In addition, Chromobacterium violaceum was used to determine QS inhibition. The effects of an ethanoic extraction of propolis (0-2.5% v/v) on biofilm formation was assessed using colourimetry. Manuka honey was tested as a comparison due to its known impact on biofilm formation and QS. Propolis extract at low concentrations was found to inhibit biofilm formation in all bacteria tested. Effects were similar in both Gram positive and negative bacteria. Whilst Manuka honey also achieved an inhibitory effect on biofilm formation, this was to a lesser extent. Propolis was also found to be particularly potent at inhibiting QS in C. violaceum. Our data demonstrates that propolis has potent anti-biofilm properties. These properties are at least in part due to QS inhibition, which is shown by the inhibition production of homoserine lactone in C. violaceum. This study demonstrates the therapeutic potential of propolis in inhibiting biofilm formation in a range of clinically relevant bacteria. ISNAD TENNICK, K. , WAFA, S. , FEARNLEY, H. , GOMEZ ESCALADA, M. . "Effects of Propolis on the Quorum Sensing of Selected Biofilm Producing Bacterial Species". 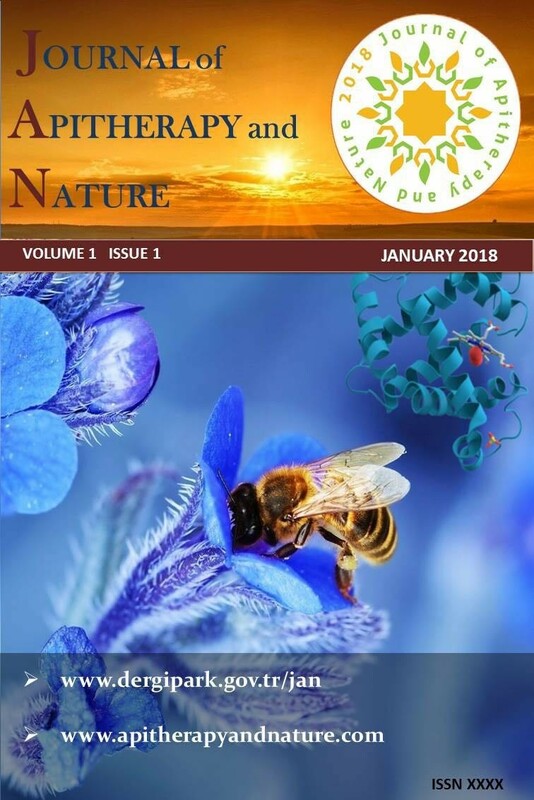 Journal of Apitherapy and Nature 1 / 3 (December 2018): 40-40.